Rapper Naeto C and his wife Nicole took to Instagram to wish one another a happy fifth wedding anniversary with lovely messages. There is no big deal with an MC who has a humongous romantic bone and rapper, The rapper was out to show it in his wedding anniversary message to wife. 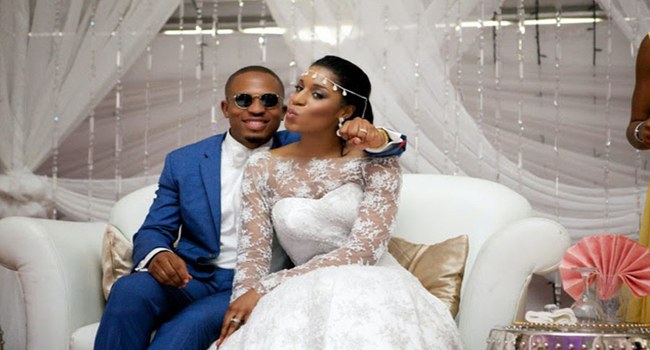 The MTV Africa Music Awards winner pulled off the classiest note on Instagram that touches on how amazing the marriage to his wife has been. “Thankful and Blessed to have the support of an Exceptional Woman @thenicolecode by my side, beautiful on the outside but most importantly on the inside, 5yrs feels like a week with you, I would gladly do the time all over again&again #happy5thanniversary,” the rapper’s post reads.